"To organize first responders everywhere, Pelican Products, Inc., a leading manufacturer of high-impact, all-purpose watertight Protector Cases, has unveiled the Black 1500 EMS Case. 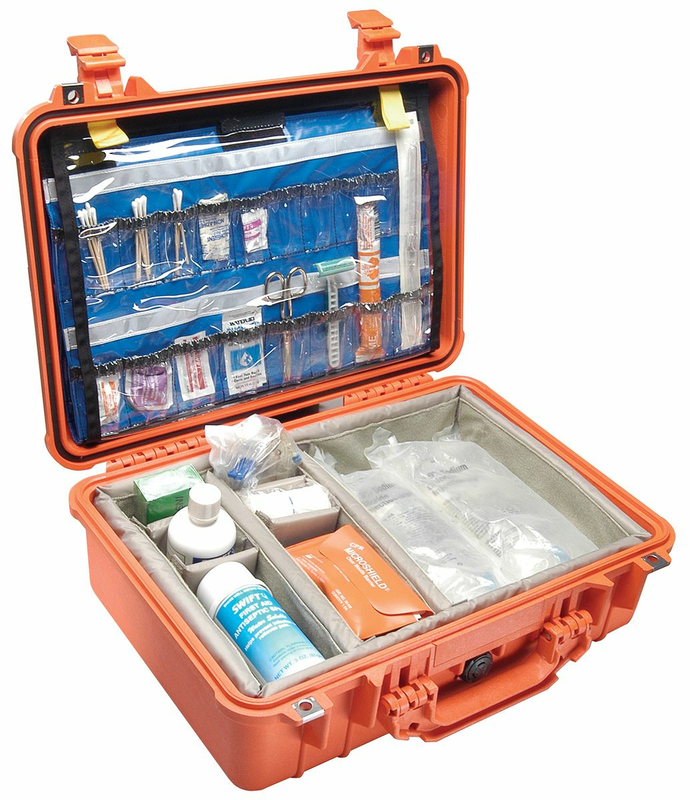 The Pelican 1500 EMS Case features a specially engineered medical supply organization system which includes a lid organizer with clear pockets and a fully customizable, hook-and-loop, padded divider set. 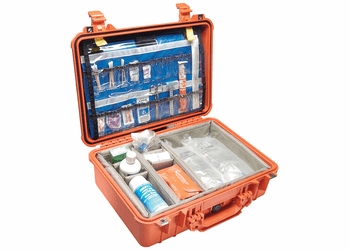 The system is perfect for quick and easy inventory and storage of pre-filled syringes, solutions, vials, and ampoules along with all other accessories carried by EMS techs everywhere. The 1500 EMS Case features a distinctive, trademarked “Dual Band” design with a cell-core polymer construction that helps them protect sensitive equipment from some of the harshest conditions on Earth. Available in 1500, 1550 or 1600 Protector Case sizes, the largest case in the series boasts more than 2,700 cubic inches of possible storage space. Additional features include a lid equipped with a polymer o-ring for a dust and waterproof seal, a rubberized all-weather, sure-grip handle and stainless steel reinforced padlock protectors for added defense against cutting and theft. The 1500 EMS Case also features double-throw latches which are engineered to tolerate up to 400lbs. of pressure, yet open with a light pull. The case’s standard automatic Gore-TEX® pressure equalization valve stops moisture from entering the case and prevents vacuum-lock so the case opens easily at any altitude.